A handy set of 10 brushes for all your cupcake needs. Use the round ended tips for adding detail when using edible tints and lustre dust. Also perfect for use with edible glue. 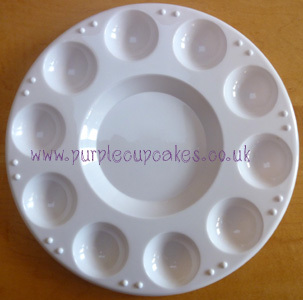 Our little mixing tray is ideal for use with these brushes. Flat brushes are perfect for use with your edible glue. SImply wash clean with warm soapy water and leave to air dry.